Tabor Boy: 100 Years at Sea is a documentary that profiles the captivating history of the Tabor Boy sail training program in which thousands of high school students have experienced the lifelong lessons of going to sea. Rhode Island PBS is pleased to encore this documentary on Sunday, June 27 at 6 p.m. 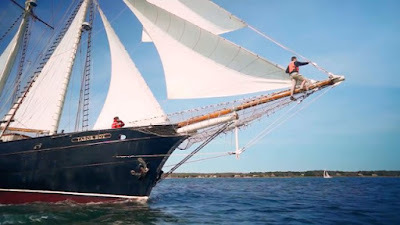 Celebrating a century at sea, Tabor Academy’s flagship 92’ sail training schooner, the SSV Tabor Boy, and the sail training program on board, is the subject of a film by Emmy award-winning videographer and Tabor Academy alumnus John Rice of Above the Line Programming. Truck Tolls, PawSox in Special Session? Helping Hands will air on Rhode Island PBS on the following dates and times. Sat 6/27 at 9:48 p.m.
Mon 6/29 at 9:52 p.m.
Tue 6/30 at 9:21 p.m. Wed 7/01 at 12:52 p.m.
Thu 7/02 at 1:52 a.m.
Sun 6/28 at 9:53 p.m.
Tue 6/30 at 1:53 p.m. Wed 7/01 at 3:48 a.m.
Visit Rhode Island Spotlight for more information about this and other stories about people and organizations that are making a difference in our community. Celebrating 35 spectacular years on air, A CAPITOL FOURTH will kick off the country's 239th birthday with an all-star musical extravaganza on July 4. Music legend Barry Manilow will headline the gala anniversary celebration, opening and closing the concert broadcast with a special patriotic medley. Emmy and Screen Actors Guild Award-winning actor Bradley Whitford will host of the 35th edition. Bradley Whitford is perhaps best known for his role as Josh Lyman in Aaron Sorkin's The West Wing. 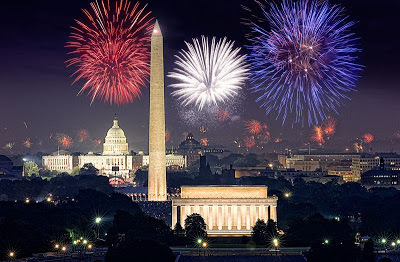 Broadcast live on PBS from the West Lawn of the U.S. Capitol, this top-rated star-spangled extravaganza features coverage from 20 cameras positioned around Washington DC, putting viewers front and center for the greatest display of fireworks anywhere in the nation. 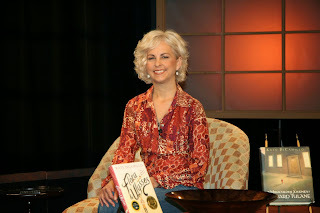 Tune in at 8 p.m. on Saturday, July 4, with re-broadcast Monday, July 6 at midnight. 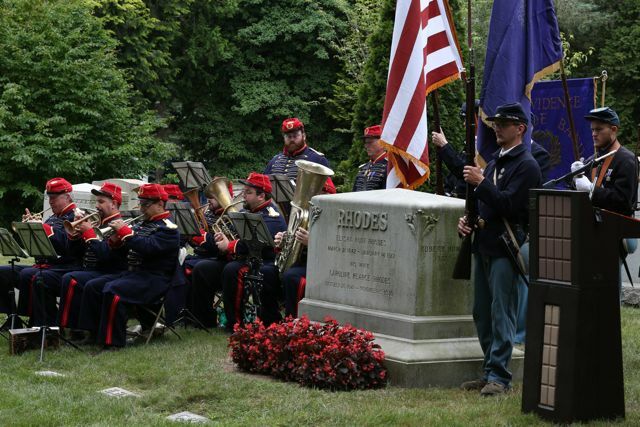 On July 19 of 2014, a graveside memorial service in Swan Point Cemetery celebrated the life and legacy of Elisha Hunt Rhodes, the Civil War private who rose to become colonel of the 2nd Rhode Island Infantry Regiment and, later, the Adjutant General of the State of Rhode Island. On Sunday, July 5, 2015, The Commemoration of Elisha Hunt Rhodes premieres on Rhode Island PBS at 6 p.m. as part of Rhode Island Stories. 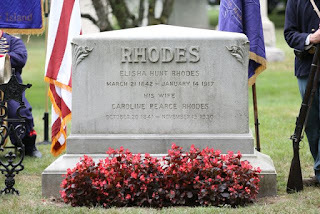 After the July 5 premiere, The Commemoration of Elisha Hunt Rhodes will air on WSBE Learn on Tuesday, July 7 at 8 p.m. and encore on WSBE Rhode Island PBS on Saturday, July 11 at 11 p.m. Grab your camera and take that picture-perfect shot! 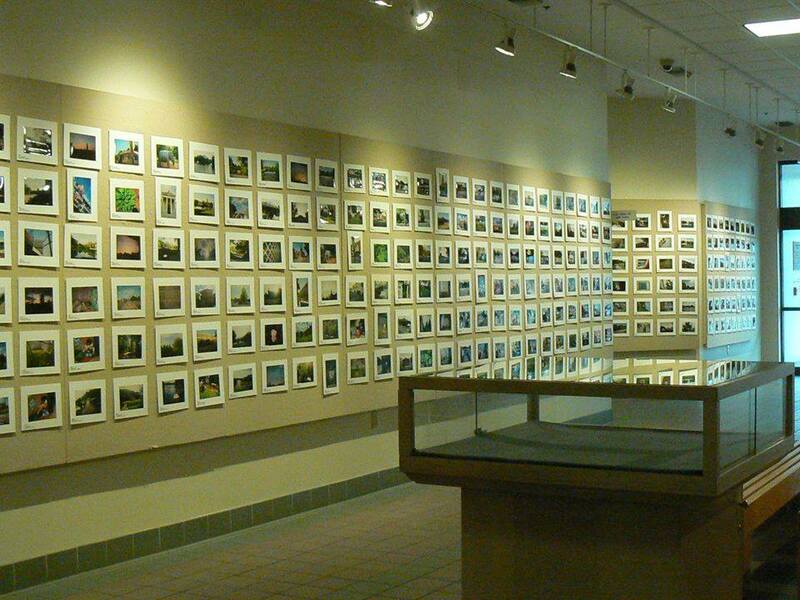 The City of Pawtucket announces the 17th Annual City of Pawtucket Photo Contest. Twelve winning photos will be selected by a panel of local professional photographers, and winning photos will illustrate the City of Pawtucket 2016 City Calendar. This annual contest provides an opportunity to bring awareness to daily life, historic locations and the ever changing landscape of Pawtucket through the lens of a camera. The contest is open to residents and non-residents alike, but the photo must have been taken in Pawtucket. All photo submissions should follow the contest theme and have been taken within the past year. All photos must be taken in the City of Pawtucket to qualify for this contest. 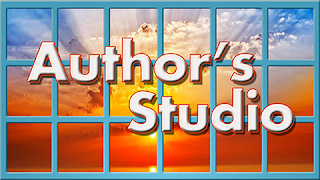 Only one entry per contestant will be accepted and must be submitted by the photographer. Film or good quality digital prints will be accepted. All photos must be of good quality and suitable for reproduction. All photos will be on display at the Blackstone Valley Visitor Center during the City of Pawtucket’s Arts Festival in the month of September. The Mayor’s Choice Award will receive a $100 cash prize, First Place will receive a $75.00 cash prize, Second Place will receive a $50.00 cash prize, with remaining winners receiving gift certificates. All winning photos will be used in the City of Pawtucket 2016 Calendar. Submissions are being accepted now through August 1, and should be dropped off at The Camera Werks, 766 Hope Street, Providence, RI Tuesday-Saturday 10-5:30 p.m. Deadline for entry is August 1. Visit www.pawtucketri.com for complete contest rules. For more information, please call (401) 273-5367. 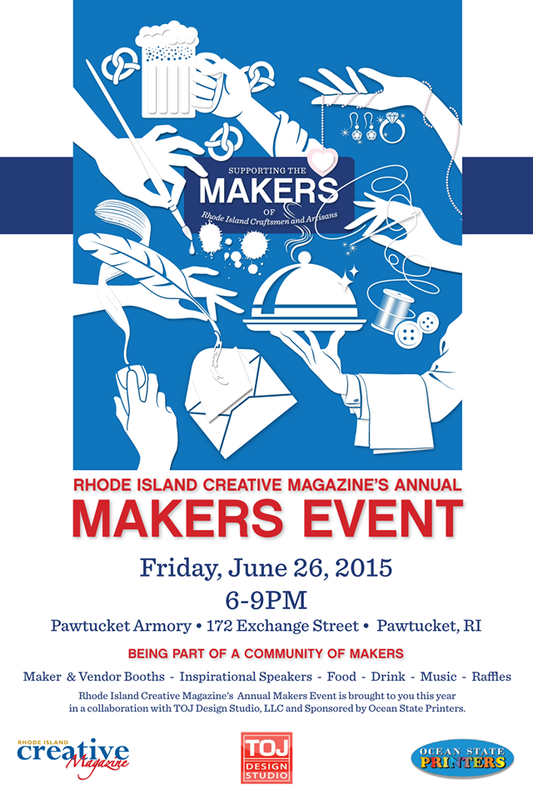 On Friday, June 26th, Rhode Island Creative Magazine (RICM) and TOJ Design Studio, LLC, present “The Makers Event: An Evening of Inspiration” for creative individuals living and working in the Ocean State. The event, held at the Pawtucket Armory in the heart of the creative city of Pawtucket, Rhode Island, will gather a community of makers and feature works by several local artisans and craftsman. Please join our community and come meet our local makers on Friday, June 26th from 6 p.m.to 9 p.m. The event features “Maker Booths” with products handcrafted by local artisans, vendor booths with locally made food and beverages, entertainment by Rhode Island musicians, inspiring speakers, and raffles filled with local goods. This family-friendly event is free. Entry donation of $5 is welcome, partial proceeds benefit charity. For more information about the event, visit the RICM’s Inspirational Speaker Series. To stay up to date, join the Makers Event on RICM’s Facebook page. The Pawtucket Armory, located in the heart of the creative city of Pawtucket, showcases great architecture that was designed by William R. Walker and Son, a well-known architectural firm in Providence, Rhode Island. Construction of the armory began in 1894 and was completed in 1895. Built of red brick, granite and limestone, the historical building continues to shine a light on the fine crafts people who work in and around this structure. Since 2012, Rhode Island Creative Magazine has been the catalyst for raising awareness of the economic value of the creative arts industry. It is Rhode Island’s one of-a-kind creative multimedia publication that inspires and informs readers. This truly unique publication is an important resource that highlights the outstanding creative talent of Rhode Island in an effort to attract and expand business opportunities, create jobs, promote local education, small and large businesses, and artists of all professions, including printers, writers, culinary makers, theatrical artists, students and others who are (and will be) an important resource for our economy.